Today we launch the Make Schools Safe campaign! The Send My Friend coalition has found that every school day, an average of 15 life-threatening attacks on education take place. 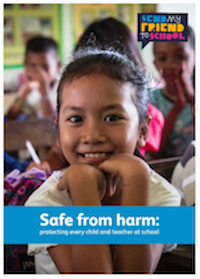 This is outlined in our new report, released today: ‘Safe from harm: protecting every child and teacher at school.’ These attacks put young people directly at risk, and obstruct their right to protection and receiving a quality education. The attacks can be spontaneous and unplanned, with bombs and cross-fire catching schools as collateral damage. Or they can be direct targets – in protest against the ideologies of the providers or as part of a territorial take-over. Either way the impact of this for young people is immense, leaving them vulnerable to physical and emotional violence, with their right to education and protection stripped away, and usual support systems broken. One in four children living in conflict zones do not attend school, even though attending school and receiving a proper education may be more vital than ever. And we know that war and conflict is just one of the ways that schools can be unsafe. Even in non-conflict settings children can be at risk of physical harm and bullying. Marginalised groups of children such as girls or children with disabilities are often most at risk due to discrimination. Schools can also become unsafe due to natural disasters such as earthquakes, floods or landslides. When this is coupled with poorly constructed schools and lack of preparedness children are put at great risk. In fact, 246 million children experience some form of violence at school every year. The world set a bold target to ensure that all children and young people have access to high-quality, inclusive education by 2030. We’ll never reach this target as long as children face these levels of violence. That’s why we’re launching our new Make Schools Safe campaign, calling for the UK government to sign the Safe Schools Declaration, and to use their status as global leaders to encourage other states to do the same. The Declaration is a political statement of support for the protection of education during armed conflict, and provides a number of practical commitments that militaries can implement. 72 countries, including long-time allies France and Canada, have already signed – now it’s time for the UK to do the same. It’s just one of our five recommendations on how the UK, as part of the international community, can do more – such as strengthening child protection policies, ensuring marginalised groups are prioritised, and that school pupils and staff are protected from violence. We need to make schools safe and you can help! 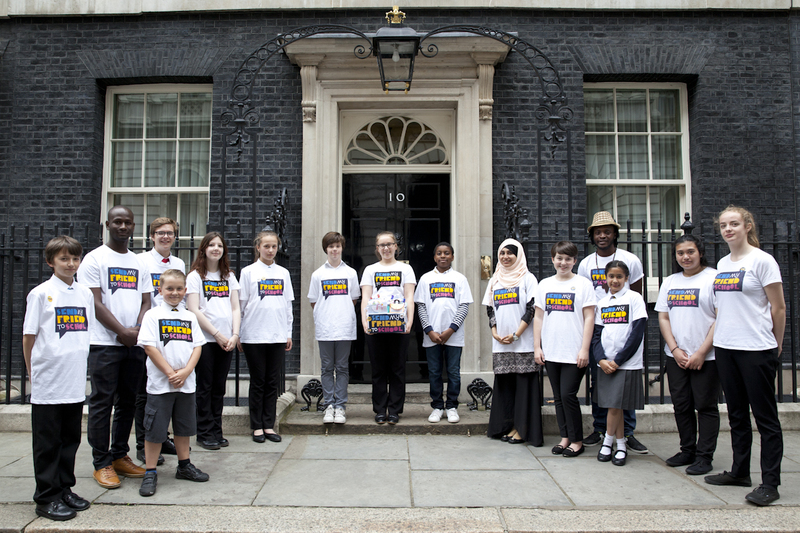 Signal your support for making schools safe by getting involved and sending the Prime Minister a sign. Download a Teacher’s Pack now with everything you need to bring this campaign to life in your classroom. Together we can make a difference.